Handled a large cast well. Still had some good jokes without stepping all over serious moments. Plethora of good action scenes. Plenty of different set pieces. Give the villain some form of character instead of being real flat. Some of the effects are pretty impressive. Could be considered to have some "plot holes" in that Storm trooper sense - occasionally things may or may not happen to make it go the way the movie wants. I largely feel these will either be not recognized or called out by most though, but if you wanna dig it's a possibility. Jumping from scene to scene may confuse some people - I mean, I've seen people lost from less. A handful of effects are obviously effects. Overall a pretty good movie. 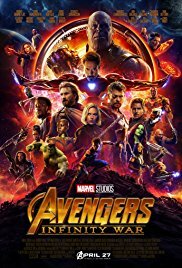 If you like the other Marvel movies, you'll probably already be seeing or have seen this one and it doesn't much matter what I've listed. If you don't like superhero movies, I doubt this one is going to change your mind at all.